Creating a zero-waste lifestyle takes time but by implementing small changes there can be a lasting impact on your home and life. Each one of these gifts offers a perfect starting point for the conscious loved ones in your life that want to make these lasting shifts that can help impact the environment for the better. We focused on essentials for the home that are plastic-free, environmentally-friendly and artisan-made. 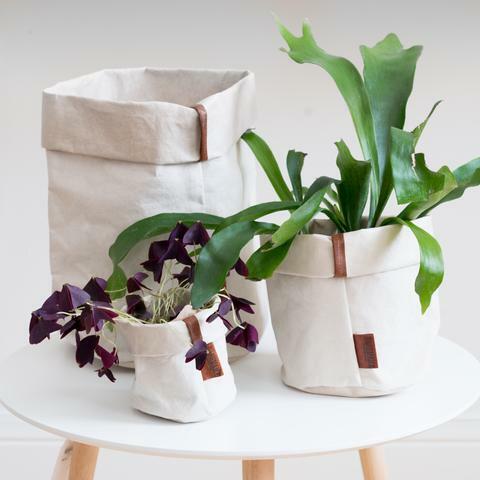 These artisan-made paper bags offer a unique decor element for holding house plants and herbs. They are sustainably made from a cultivated fiber that doesn't contribute to de-forestation and sewn by hand in a cottage in Tuscany. This small change to the home makes a big difference to gift a loved one. These cloths eliminate the need for paper towels and are made from recycled, environmentally-friendly fibers that make them sustainable for washing. 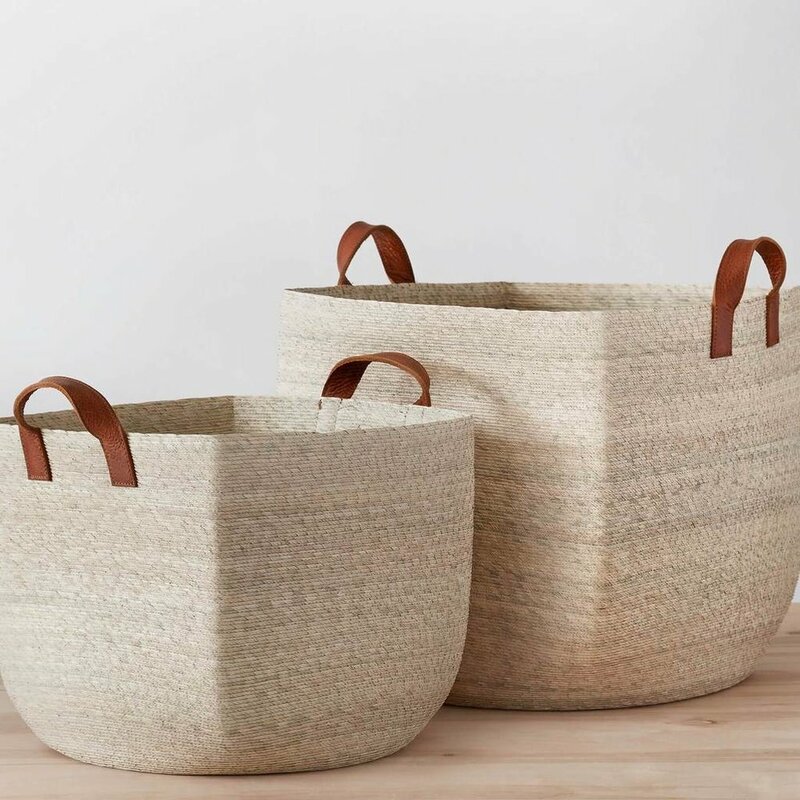 These fair trade handcrafted baskets are made from palm leaves and are the perfect storage accessory or sophisticated laundry basket for a loved one’s home. We often opt for buying convenient plastic cutting boards that become scratched and stained after continued use and do not last. These cutting boards are truly stunning, plastic-free and are also a decorative gift for the kitchen. 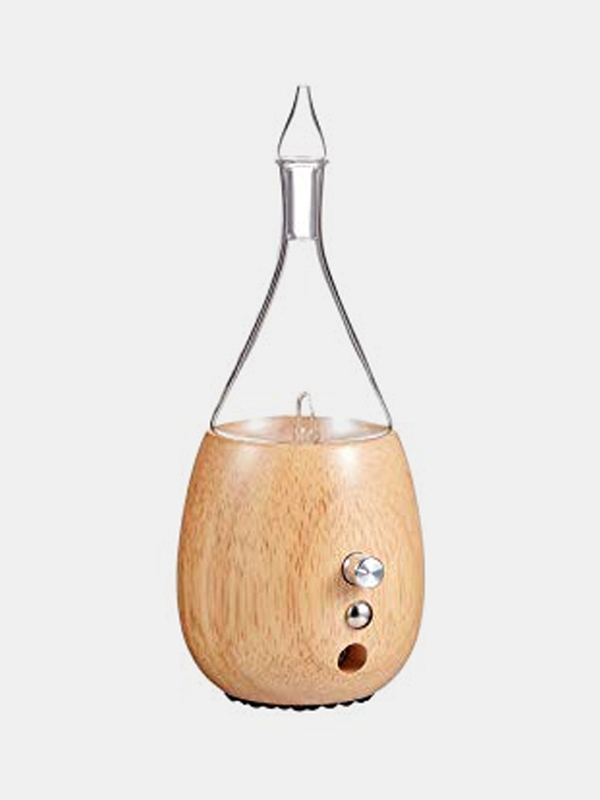 This gorgeous essential oil diffuser is a wonderful decorative gift for any home. They are uniquely handmade from wood and glass instead of the conventional plastic, which isn’t as healthy for the environment when warmed. We love the idea of gifting this with essential oils for a wonderful addition to anyone’s home. We love these pure, natural alternatives to the conventional chemical-infused dryer sheets that are thrown away after each use. These dryer balls are handmade from 'Climate Beneficial Wool' and are the perfect gift for those sensitive to the ingredients often found in dryer sheets. This small change to the bathroom can make a huge difference, and is the perfect stocking stuffer for the whole family. Plastic floss packaging is a huge contributor to the plastic problem—these glass containers are not only cute but refillable so you never have to buy a plastic floss box again! 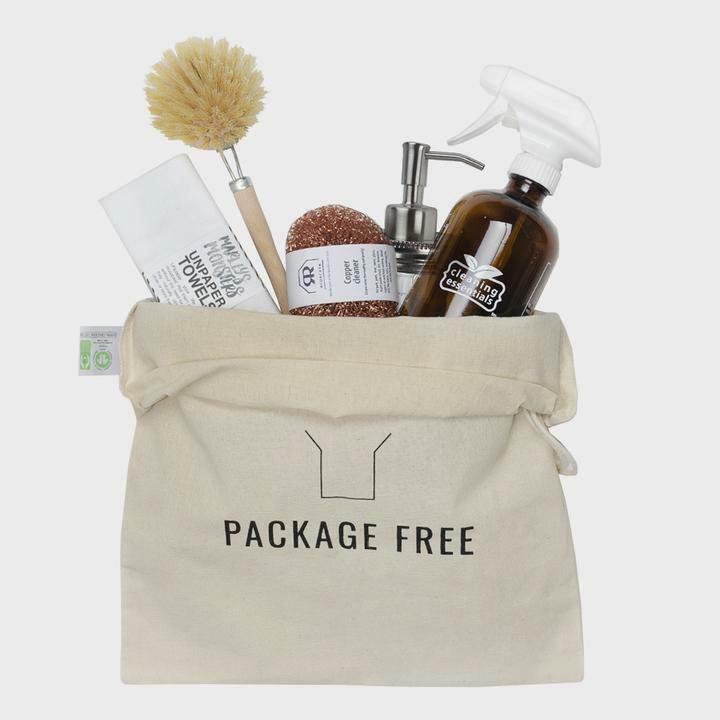 From one of our favorite shops leading the way in offering zero-waste lifestyle essentials—this kit is the perfect starter for someone in your life looking to implement zero waste habits, starting with cleaning supplies. We love this minimalist blanket that adds a pop of color to any space to gift a snuggly home decor essential to a loved one. These throws are made in a zero-waste, sustainable factory that uses plant dyes in Bali. Courtney Jay Higgins is the Content Strategist at The Good Trade. She is also a Yoga Instructor, vegetarian, wellness and fashion enthusiast. Originally from Colorado, her soul found California when she came to get her degree in Visual Communications at the Fashion Institute Of Design & Merchandising. She has a background in telling a story through writing, creative direction and content creation. Her online blog hosts her unique perspective on the mergence of fashion and spirituality.